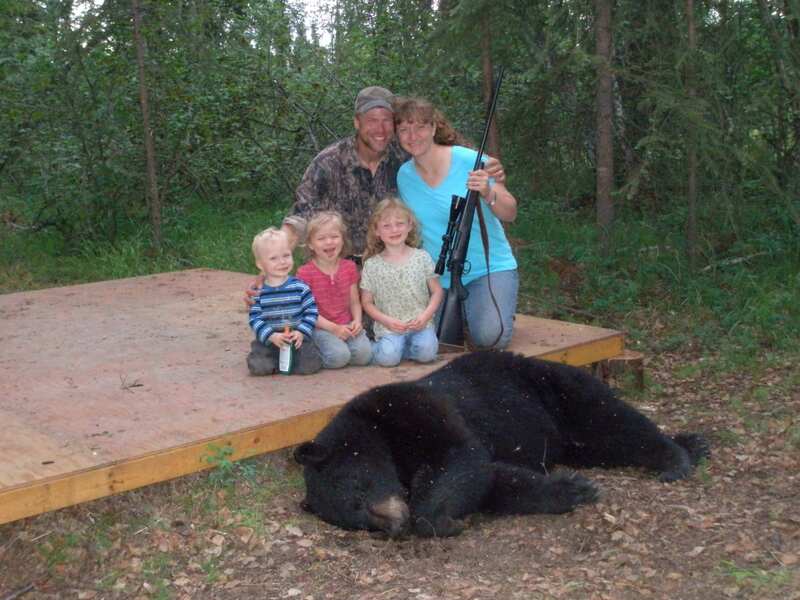 One year we had a couple of hunters from South Africa. Benny was the hunting manager for Holger who owns Jensen Safaris. 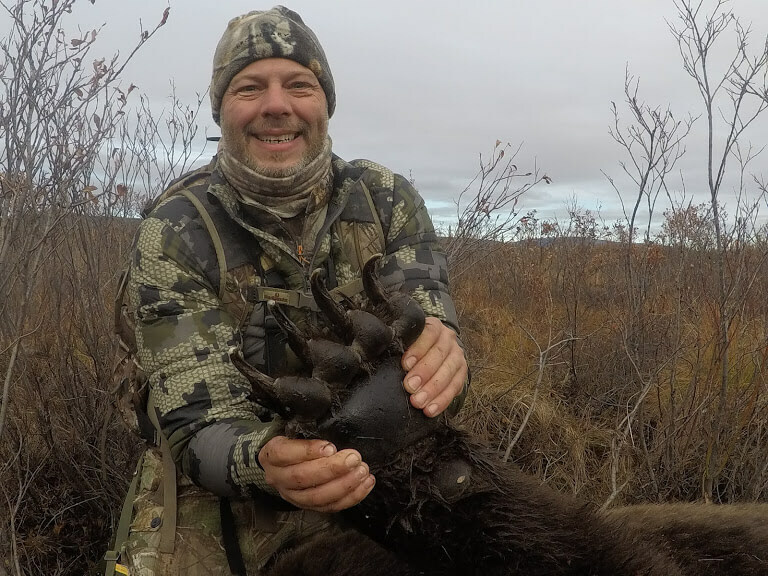 Holger took Benny on a trip of a lifetime to hunt for moose in Alaska. 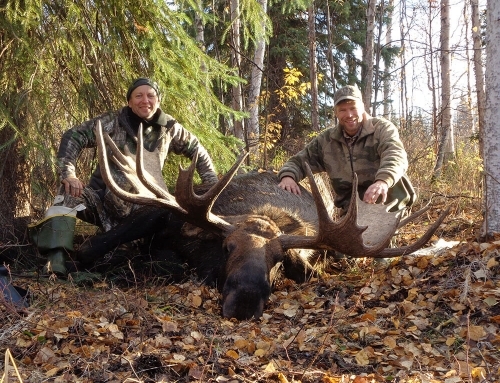 Holger and Benny were good hunters and a lot of fun to have out in our moose camp. 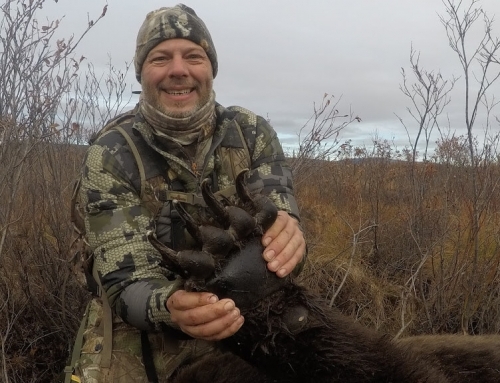 One of our longtime guides, Dane, was their guide during their Alaska moose hunt. They traveled by river boat about 36 miles up the river to our upper camp where they were planning to hunt for a trophy Alaska moose. We had scouted the area and knew there were some nice bull moose pretty close to the camp. 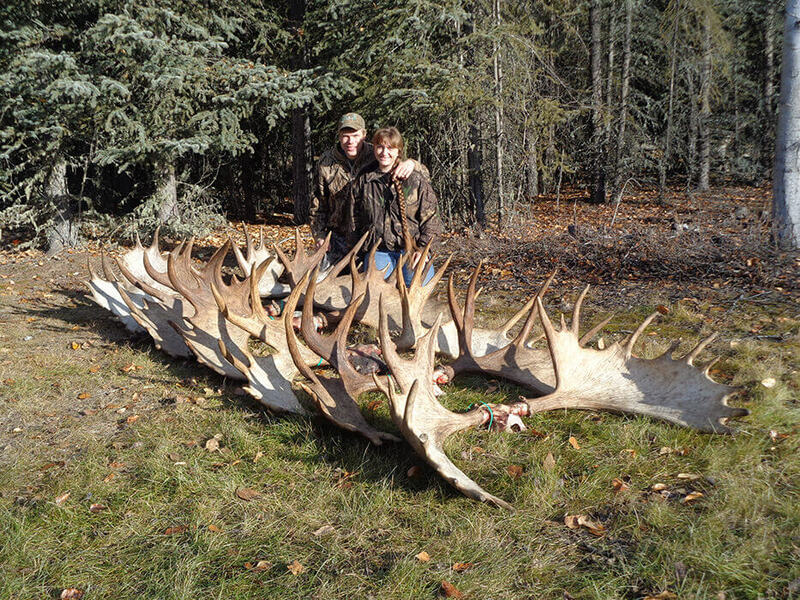 On the third day of the hunt they got close to a bull that was about 57” wide and had two brow tines on one side and four on the other. Benny looked at the Alaska moose for a while then said that he would rather try for a better one. 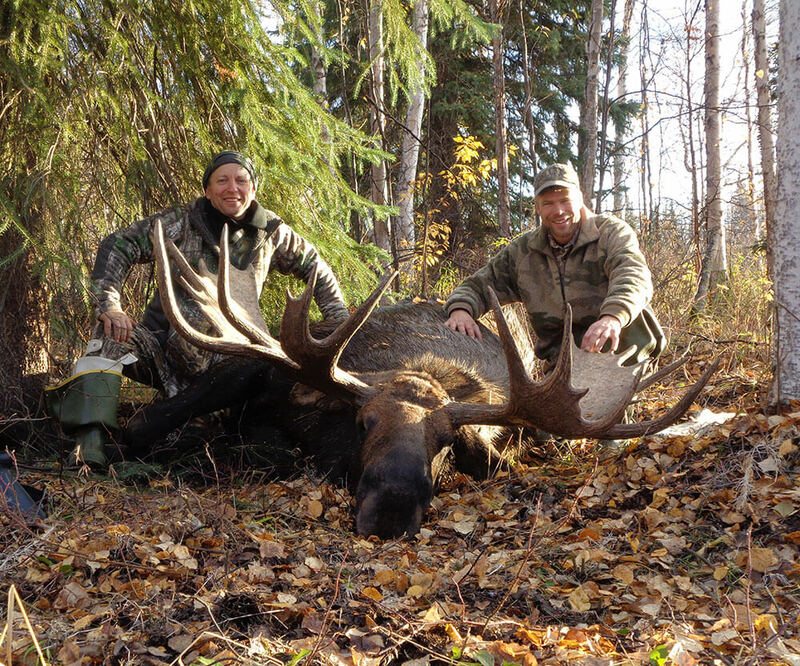 This made Holger a little uneasy because it was a nice bull that they had passed up but, it was Benny’s hunt and also his choice so they continued hunting for Alaska moose. They hunted hard and saw some smaller bull moose and some cows too. After a few more days of moose hunting they heard a bull moose back in the willows. 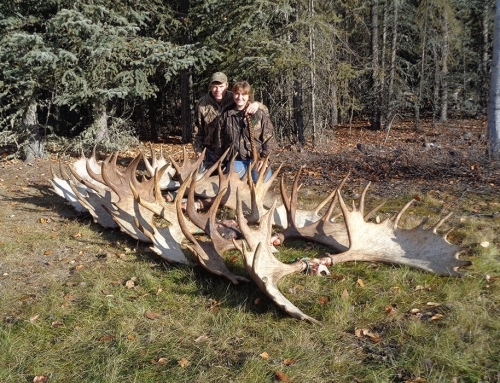 Finally they got a good look at the bull and decided that he was what Benny was looking for on his Alaska moose hunt. 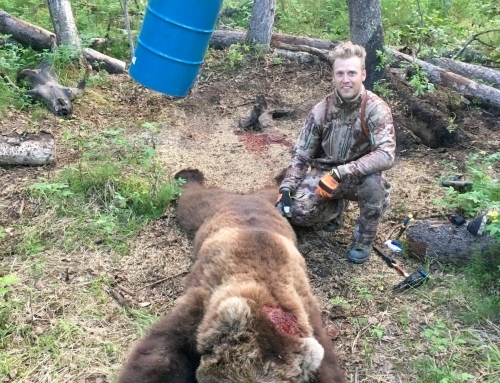 Benny made a terrific shot on this bull just before he was out of sight behind the brush! 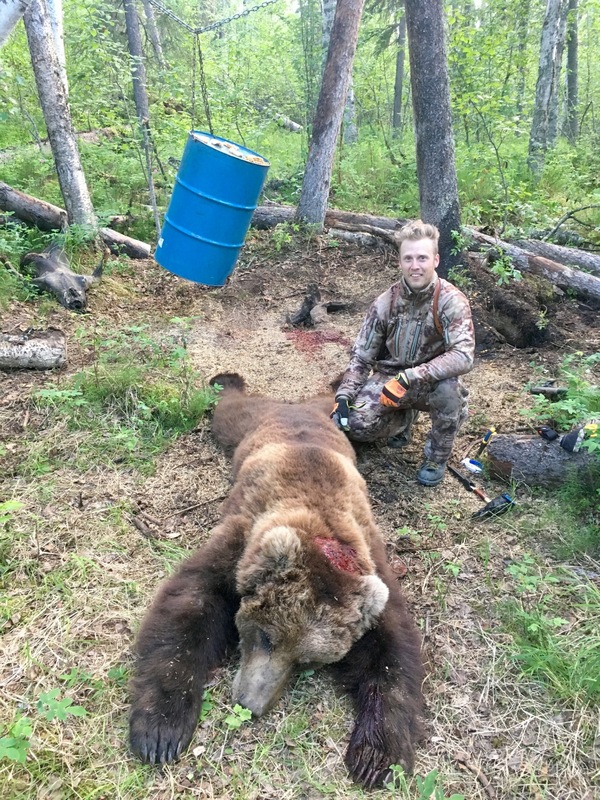 As they walked up to the trophy Alaska moose it was obvious that Benny had made a good choice a few days earlier when he passed up the smaller bull. 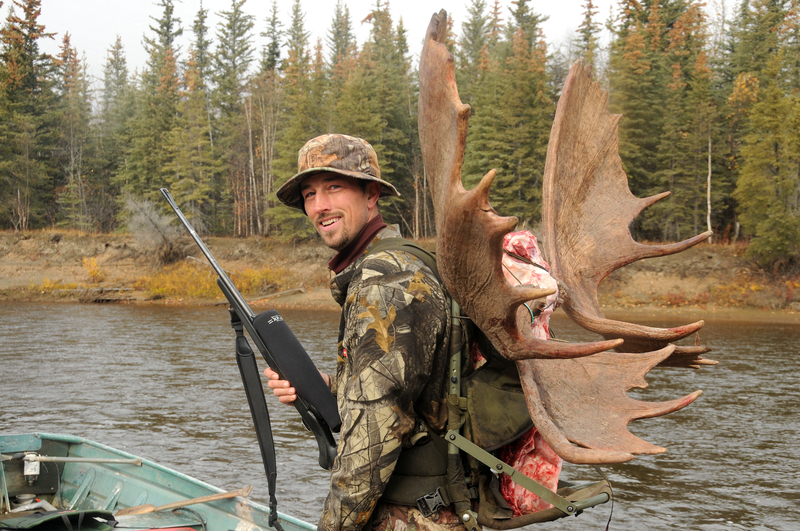 Benny’s Alaska bull moose measured 61” wide and was a very nice looking Alaska moose, too! One day during Holger and Benny’s Alaska moose hunt I took one of our motorized canoes up the river from our base camp. When I finally made it to our upper camp I found Holger in our little cabin cooking a terrific dinner. He fixed me a big plate of moose tenderloin with some gravy. What an excellent cook he is! It really hit the spot after a long trip up the river. After lunch I continued up the river in the canoe to another camp where I spent the night. It was a long day for me after 56 miles of river with the canoe! I always remember that dinner with Holger and what a fun time it was to have him and Benny in our camp for their Alaska moose hunt. Benny’s Alaska moose is now at home in South Africa with a large collection of some very interesting animals. These include elephant, giraffe, water buffalo, cape buffalo, hippo, walrus, tur and many other really interesting and exotic animals from around the world. We are glad that we could be a part of Holger and Benny’s worldwide hunting adventures!